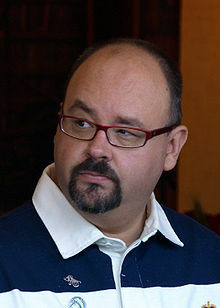 Carlos Ruiz Zafón (born 1964) is a Spanish novelist. English edition translated from the Spanish by Lucia Graves. Few things leave a deeper mark on a reader than the first book that finds its way into his heart. Those first images, the echo of words we think we have left behind, accompany us throughout our lives and sculpt a palace in our memory to which, sooner or later--no matter how many books we read, how many worlds we discover or how much we learn or forget--we will return. A secret's worth depends on the people from whom it must be kept. Wars have no memory, and nobody has the courage to understand them until there are no voices left to tell what happened, until the moment comes when we no longer recognize them and they return, with another face and another name, to devour what they left behind. There are worse prisons than words. Now I know I have already lost you. I have lost everything. Even so, I can't let you go forever and allow you to forget me without letting you know that I don't bear you any grudge, that I knew it from the start, I knew that I was going to lose you and that you would never see in me what I see in you. I want you to know that I loved you from the very first day and that I still love you, now more than ever, even if you don't want me to. Coincidences are the scars of fate. Fools talk, cowards are silent, wise men listen. There's no such thing as dead languages, only dormant minds. This page was last edited on 1 March 2018, at 22:31.